With the much-dreaded fiscal cliff crisis resolved by temporary measures, one might think that CEOs would be more optimistic about present conditions than those they anticipate in a year’s time. However, the latest CEO Confidence Index, Chief Executive’s monthly gauge of CEO expectations for overall business conditions over the next 12 months, rose 4.0 percent to a value of 5.29 out of a possible 10, while the Current Confidence Index, which measures CEO opinion on current business conditions, dropped 2.7 percent to a value of 4.93. In an additional survey question not used in calculation of either Index, we asked CEOs this January about their strategic business priorities for 2013. “Growing revenue” was rated as the highest priority (8.97), followed closely by a host of talent, profit and client-related concerns. A primary emphasis on growing revenue was confirmed by free-response elucidation, where “revenue” was the most explicitly mentioned keyword in terms of both general business prioritization and prioritization of the CEO time spend. In what might be viewed as an affront to the increasingly rapid development cycle for software, “Implementing new software tools” received an aggregate rating of only moderate priority (5.62 out of a possible 10)—markedly low compared to the average rating (8.17) across all other categories provided. The category with the next lowest priority was “Building new partnerships,” with a rating of 7.24. Nearly half (45.9 percent) of CEOs consider their businesses to have missed performance expectations in 2012, while less than a third (28.9 percent) thought their businesses exceeded expectations. Those who missed performance expectations cited, almost uniformly, the effects of economic and political conditions. 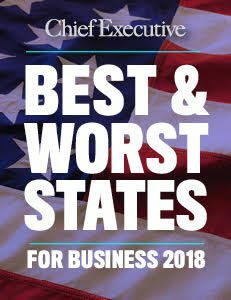 “Lack of confidence in the ability of our current state and national governments to be effective in defining and resolving problems and the operational burden created by increasing regulation of business and society are a serious drag on confidence, capital investment and employment,” wrote one CEO. Those who exceeded expectations provided a multitude of potential factors: hard work and great customer care; strong demand for successful product lines; a sector-specific economic lift; acquisition of top talent; low expectations to begin with; and “a bit of good luck.” There was a strong positive correlation between 2012 business performance relative to CEO expectation, the CEO’s rating of current (i.e. 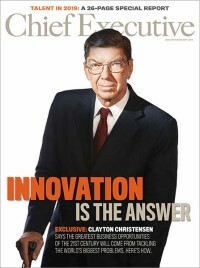 Jan. 2013) business conditions, and the CEO’s expectation of future (i.e. Jan. 2014) business conditions. Breakdowns by company revenue size yielded some results worth mentioning. Companies with more than $1 billion in revenue were the only ones with a majority of CEOs reporting surpassed business expectations for 2012; most companies in all other revenue categories met or were below expectations, with slightly better relative performance from the mid-market. In terms of priorities for 2013, mid-market CEOs reported a significantly higher priority on attracting new talent, building new partnerships, improving internal processes and implementing new software tools, and a slightly lower priority on developing new revenue streams, relative to CEOs of companies in higher or lower revenue ranges, which interestingly shared a highly similar pattern of priorities.